Silknet Snow sSilknet Snow socks are an ‘easy fit’ winter traction aid. You are supplied with 2 socks that are fitted to your drive wheels in 2 minutes. Sutable for cars, vans and 4×4. Silknet is fitted with heavy duty straps on the face of the Snow Socks which allow you to fit and remove the socks easily and without getting dirty! Silknet has a patented design feature which actually pulls the fabric against the tyre to create a better adhesion to the tyre tread and at the same time create small folds and ripples in the centre of the snow sock fabric that creates better grip between the snow and the fabric.ocks are an ‘easy fit’ winter traction aid. 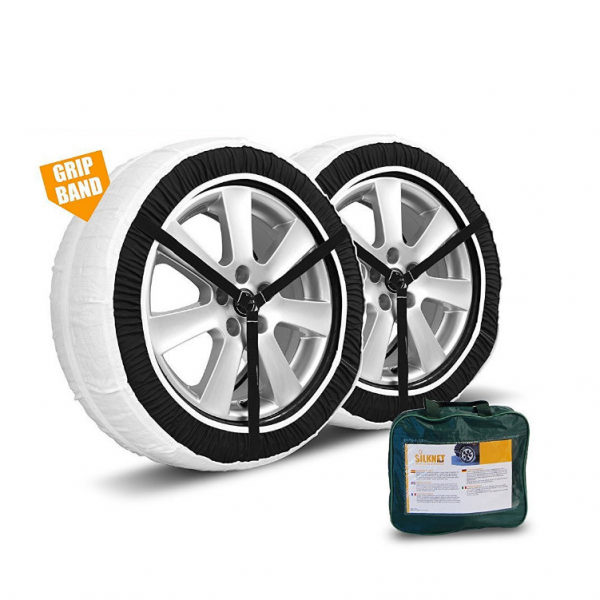 You are supplied with 2 socks that are fitted to your drive wheels in 2 minutes. Sutable for cars, vans and 4×4. Silknet is fitted with heavy duty straps on the face of the Snow Socks which allow you to fit and remove the socks easily and without getting dirty! 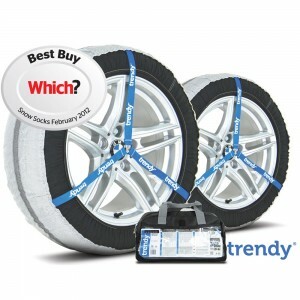 Trendy snow socks with patented design that guarantees maximum fit to the tire. High quality material and easy adjustment. FULLY TÜV & ÖNORM APPROVED.